Green tea, black tea, white tea–any tea derived from Camellia sinensis contains the nootropic amino acid L-Theanine. What do you do when you’re stressed, anxious, distracted, annoyed, and altogether just feeling a little cranky? That’s right: You take a chill pill. If you’re one of the unenlightened, you probably think “chill pill” is some kind of vague metaphor for a “positive attitudinal shift.” When in reality it’s L-Theanine, the calming compound commonly associated with green tea–as well as other tea variants of Camellia sinensis. If you’re one of the slightly-more-enlightened-but-still-unenlightened, you probably think L-Theanine is only consumable via brewed tea. But I’m here to tell you that, thanks to nootropic supplement technology, L-Theanine is quite literally a chill pill if you take it in supplement pill form. 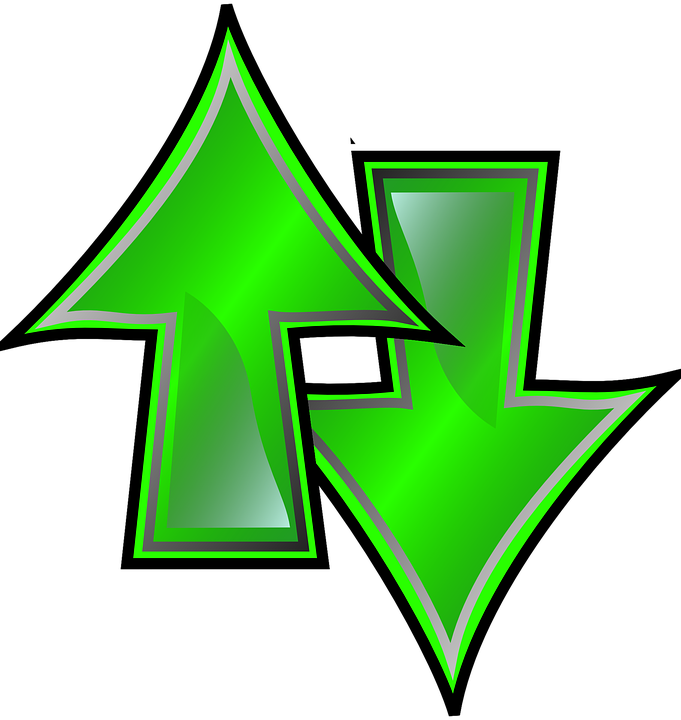 Which is the way to go if you want those amino alpha brainwave benefits. TL/DNR: Tea supplies some L-Theanine, but all the cool nootropic kids are supplementing this nootropic in higher doses to achieve its peak focus-boosting potential. L-Theanine seems to work by modulating alpha brainwaves for a meditative state of concentration and focus. Stacking the amino with caffeine is one of the more popular routes of administration for the duo’s complementary effects on stimulation and relaxation. Is L-Theanine a Good Nootropic? L-Theanine simply just werk, werk, werk, werk, werks. To be honest, I’m not entirely sure how it works: Word on the street it promotes alpha brainwaves, which is why stacks like Alpha BRAIN carry L-Theanine as a leading ingredient. Mind Lab Pro going even further with the Suntheanine® branded L-Theanine. I suppose they’re simply happy with the fact that L-Theanine boosts alpha brainwaves. But I want to know HOW does L-Theanine boost brainwaves?? Especially considering that few other compounds can do this. I want to know the mechanism behind this mechanism, because, frankly, it’s a pretty damn good mechanism. It’s the reason I prefer green tea over coffee. It’s the reason many teas are awesome in general. Thanks to its ability to cross the blood-brain barrier, L-Theanine can achieve nootropic benefits within 30 to 45 minutes. This is great for a fast-acting cognitive boost, yet what many fail to remember (or fail to ever know) is that L-Theanine also provides long-term neuroprotective advantages. This is your brain on L-Theanine. That’s right: Brains wave. Through electricity! And the particular brainwave of interest here is the alpha brainwave, a mindstate associated with feelings of alert relaxation and creativity. 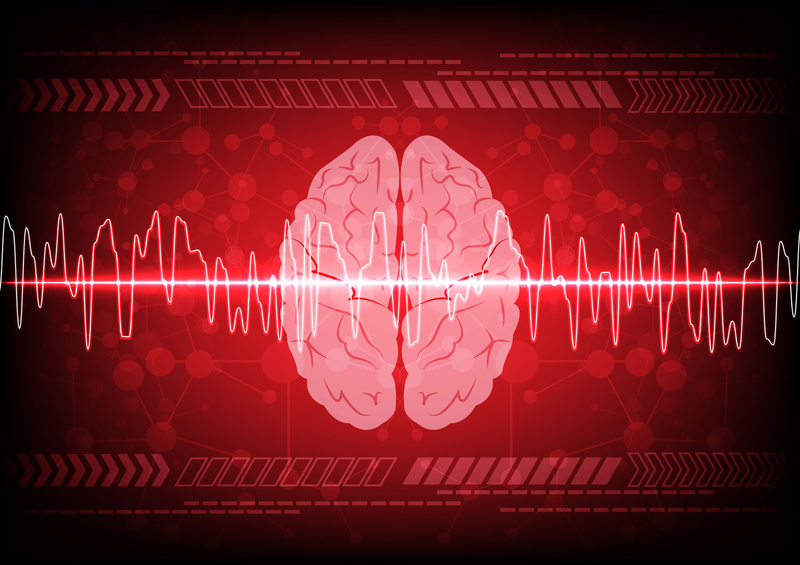 When you add up all of the electrical impulses in the brain, you get a frequency that determines the nature of the brainwave. Different frequencies of impulses induce different brainwaves, measured by an electroencephalogram (EEG) test. The four primary brainwaves include: Alpha, Beta, Delta, and Theta. Of these brainwaves, the alpha state has been observed via EEG to be the predominant frequency following L-Theanine supplementation. Through inhibiting the release of glutamate, L-Theanine damps down “excitable” brain chemicals, thus protecting against mental overstimulation. 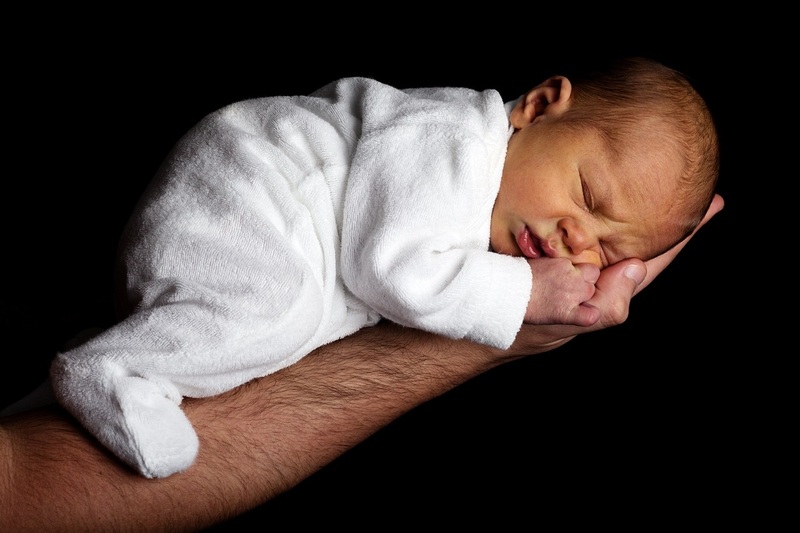 Stress, Anxiety, Agitation–these are the moods often associated with this type of biopathway. L-Theanine’s engagement (via inhibition) in this pathway essentially explains its mood boosting benefits, particularly when your mood is feeling low. The bioactions involved may have neuroprotective potential as well, countering age-related cognitive decline. L-Theanine boosts feel-good brain chemicals such as serotonin, dopamine, and GABA, while also modulating neuron-neurotransmitter receptors. The latter two chemicals in particular have been associated with positive mood balance. The best part: None of L-Theanine’s calming effects include sedation, which is a focus-killer for obvious reasons. Few nootropics directly engage brainwaves, making L-Theanine uniquely valuable. The focus on alpha brainwaves in particular sets L-Theanine up as one of my favorite nootropics, and one of the hot topic subjects on Reddit, which ranks this amino acid as one of the premier go-to nootropics for nootropic initiates. I have to say, even as a nootropic veteran, L-Theanine retains its value. The big benefit of this nootropic: Relaxed focus. If you’ve ever drank a lot of green tea, then you now what I’m talking about. The L-Theanine experience is essentially summed up as being tuned in minus all of the jitters commonly associated with focus enhancers. For the most part, L-Theanine’s non-stimulating, non-sedating focus is unmatched by any other compound. The L-Theanine + Caffeine combo is a nootropic classic for its complementary relaxation + stimulation effect. You can acquire this duo by simply drinking any tea variation of Camellia sinensis–however, to get the true nootropic experience, you’ll need to go for a 2:1, or at least 3:2, L-Theanine to Caffeine ratio. In other words, 150-200 mg L-Theanine per 100 mg Caffeine. Operating on the basis that L-Theanine can pass through the blood-brain barrier and affect neurotransmitters glutamate and glutamine, the researchers of this study supplied 47 mg/day L-Theanine (as powdered green tea) to elderly volunteers to see how the amino might affect age-related cognitive dysfunction. When compared to the placebo group, L-Theanine administration was found to “significantly lower decline in cognitive function,” suggesting that L-Theanine might possess neuroprotective benefits for elderly users. 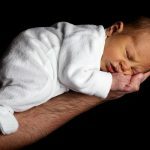 Interestingly, although L-Theanine doesn’t demonstrate sedative effects, this study observed the administration of 200 mg L-Theanine before bed in relation to a number of sleep quality measures, finding that the amino acid qualified as a “safe, natural sleep aid.” The improvement in sleep quality wasn’t linked to sedation but rather to the calming, anxiolytic effects of L-Theanine. With that in mind, the researchers noted that L-Theanine makes for a unique sleep aid in that it may be useful at any time of day for its non-drowsy calming benefits. On average a 200 ml cup of green tea contains 7.9 mg L-Theanine. For black tea, that number bumps up to 24.2 mg L-Theanine. The longer the tea is brewed, the higher the L-Theanine concentration. For nootropic purposes, L-Theanine supplementation ranges from 100 mg – 200 mg dosages. Splitting that right down the middle to 150 mg seems like an appropriate serving size, with 400 mg being an acceptable daily intake. As much as I am a nootropic geek, I’m also a major tea geek. Irish Breakfast Black Tea. 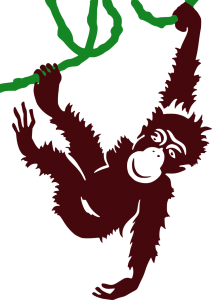 Monkey Picked Oolong. Sencha Gojiberry. You effin’ name it, I’m effin’ on it. And no matter if I’m supplementing L-Theanine or not, I’m still drinking those teas. Yet, I’m not under the illusion that drinking a cup of green tea equals the nootropic power of, say, a 200 mg dosage of L-Theanine. I’d have to a lot of heavily brewed green tea in quick succession to achieve this effect, and I’m not sure if that’s worth it. However, there’s a lot of healthy antioxidant action happening there not accomplished by straight L-Theanine supplementation. Even so, if cognitive enhancement is my goal, I opt for the L-Theanine supplement for quicker, more potent focus benefits. Occasionally, I toss in a caffeine supplement as well — however, I’m more inclined to mix my L-Theanine with coffee. Let’s just say I like the taste. 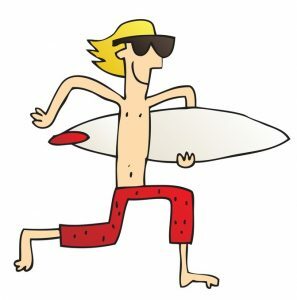 My experience parallels that described by the science: I’m tuned in, but not bouncing off the walls. I’m relaxed, but not falling out of my chair. Creative insights engage my thought process in easy, voluble conversation. Put simply: I feel good. On L-Theanine, I can get my work done, then immediately celebrate with a nap. Both actions being supported by this groovy nootropic. L-Theanine is one of those rare nootropics that delivers a nearly universal experience. Both scientific and anecdotal reports agree on this amino acid: L-Theanine supports focus and relaxation without any stimulation or sedation. For nootropic-minded coffee drinkers, it’s practically a must-have for its complementary effects on caffeine. For nootropic-minded people in general, L-Theanine is almost a necessary addition to any stack since there isn’t anything else quite like it. Other awesome nootropics may affect cognition by enhancing brain chemicals, circulation, stimulation, etc., but L-Theanine is one of the rare brainwave modulators. The result being a positive mindset and brain health state otherwise accomplished only through meditation. 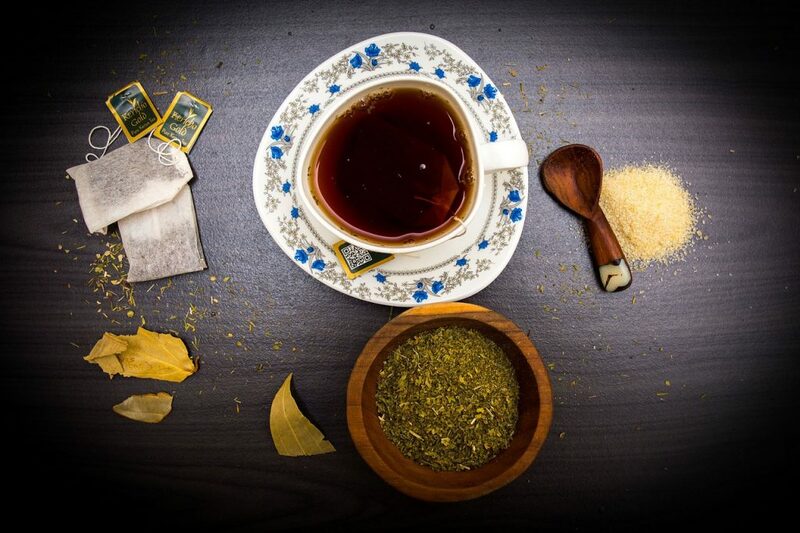 If you’re a tea drinker, you’re already somewhat familiar with L-Theanine’s benefits. But if you want to get the full effect, I recommend trying an L-Theanine supplement. 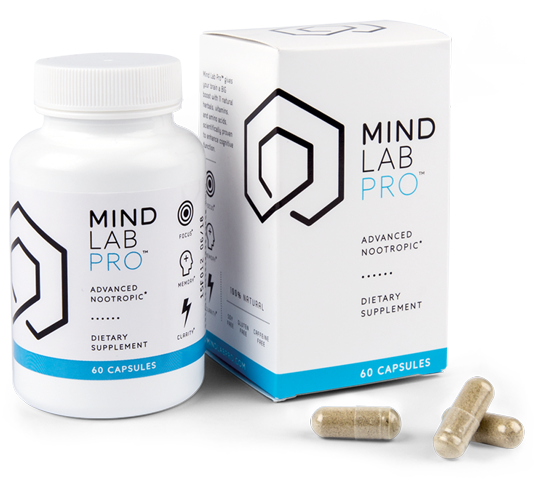 Mind Lab Pro is an all-natural nootropic brain health stack with no stimulants and no synthetics. 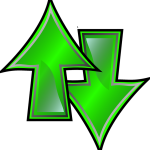 Which means that Mind Lab Pro’s L-theanine content (supplied in premium form: Suntheanine®) comes uncontested by any stimulating push-back. It’s straight-up high quality L-theanine — no caffeine, no racetams; nothing of that sort. 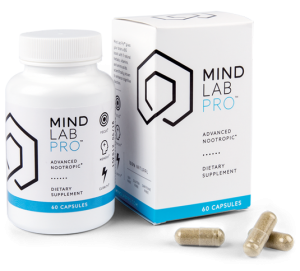 And that’s what I enjoy about Mind Lab Pro’s approach to mental calm: it isn’t offset by cheap-O stimulation (i.e., caffeine), allowing MLP’s users to stack this awesome brain health supplement with additional caffeine if that’s what the user wants — or not at all. It also allows MLP users to enjoy both L-theanine’s complementary effects with your morning joe and the amino’s nightly sleep aid boosts prior to bedtime. Fight-Flight! or Rest-Digest — Mind Lab Pro’s L-theanine fits on both ends of the spectrum. While Mind Lab Pro gives us an L-theanine stack that’s free of caffeine and other stimulants, Qualia Mind does more or less the opposite — supplying a substantial dose of L-theanine with not only caffeine but everything. Or at least as close to “everything” as its 28 ingredient profile gets. Granted, it’s not near as intense as the Qualia Original Stack’s Step One + Step Two two-fer-one superstack, but it’s pretty hefty all the same. 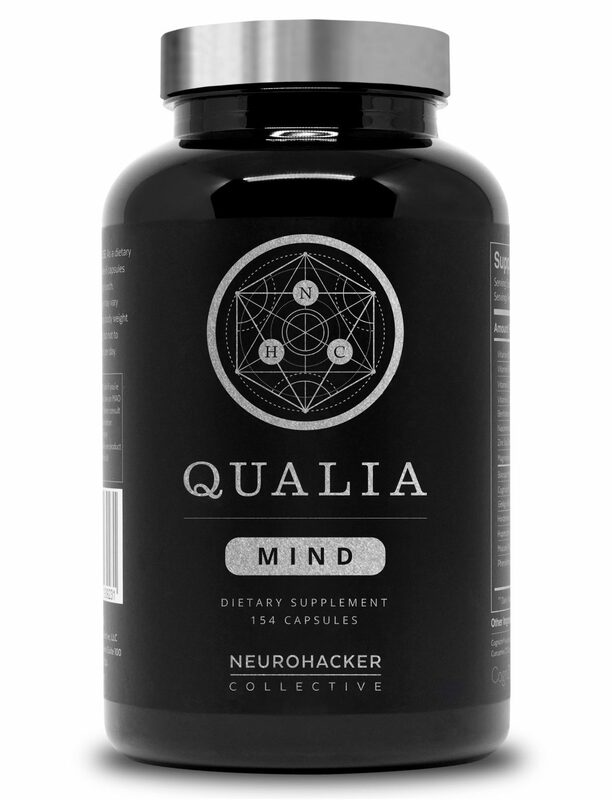 Because L-theanine’s effects are fairly noticeable and fast-acting, you’ll likely experience quick calming focus boosts with Qualia Mind. 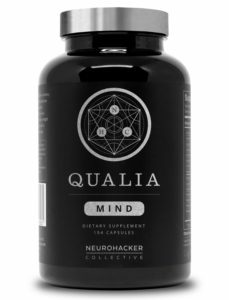 However, with so many nootropics in this formula, it may be hard to exactly pinpoint the L-theanine experience with each Qualia Mind serving. Awakened Alchemy doesn’t stack its 200 mg L-theanine with caffeine or any other outright energy stimulants. But it does supply Sulbutiamine, a mood boosting “social” nootropic, and Noopept, a “psychostimulatory” racetam-like compound with significant cognitive enhancement potential. 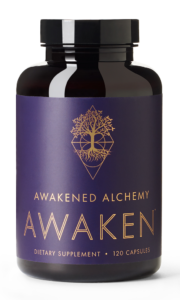 Admittedly, Awakened Alchemy is a strange nootropic supplement for its unique mix of herbal extracts and risky synthetics. Yet, it’s a strange one that I like, namely because its natural-synthetic hybrid design actually works, creating an impressive push-pull dynamic on cognition. L-theanine is a super popular nootropic for a great reason: it works not well but very reliably. Thus, it’s always cool to come across a nootropic supplement such as Awakened Alchemy that manages to make its L-theanine content appear as one of the least exciting ingredients in its stack. 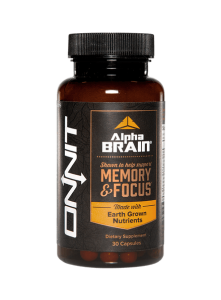 Here’s the thing about Alpha BRAIN: it’s one of the most popular, most recognizable brain health stacks in the nootropic game, even though it’s not exactly the best. 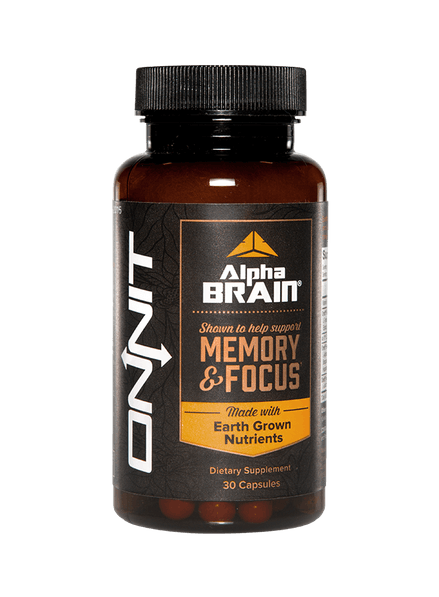 And I say this because I’m unsure exactly how great this supplement is due to Onnit’s use of proprietary blends to mask Alpha BRAIN’s individual ingredient dosages. So, when I get amped to see L-theanine and Oat Straw extract (which also seems to boost alpha brainwaves) in Alpha BRAIN’s formula, I have to check myself — because I don’t even know if Alpha BRAIN supplies enough of these two ingredients for them work. However, if my subjective experience is worth anything, Alpha BRAIN (more accurately: Alpha BRAIN Instant — the better version of this formula) does seem to work, and its cognitive benefits do align with those of L-theanine. Perhaps its the “Alpha” in Alpha BRAIN that placebo tricked me into believing in its alpha brainwave boosts, but I don’t think so.